For Donavon Carless, local Owner/Operator of the Triangle Town Center Chick-fil-A in Raleigh, N.C., Sunday was a chance for him and his team to serve a few of those in need — making 500 sandwiches and 1,200 nuggets for coastal evacuees at three local shelters in coordination with the American Red Cross. 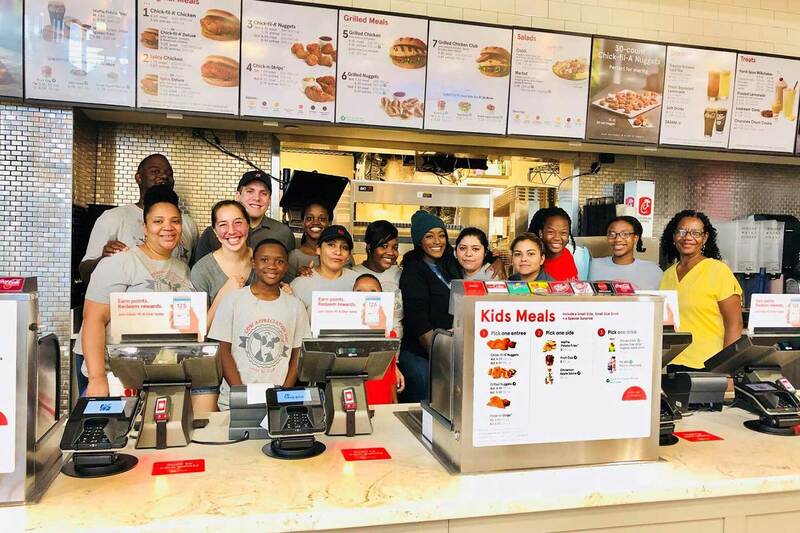 While Chick-fil-A restaurants are always closed for business on Sunday, some local restaurant teams occasionally volunteer to serve their communities in times of crisis. The restaurants never make a profit on Sunday, but rather do what they can to serve those experiencing hardship. Please join our efforts to help those who have lost so much. Our thoughts and prayers will continue to be with those impacted.